Cheryl Marie Haudenschield age 88 of Kenton passed away Friday September 28th, 2018 at Marion General Hospital. Cheryl was born on January 1st, 1930 in Kenton, Ohio as the daughter of the late Veryl and Edna (Smith) Unkart. She was a graduate of Kenton High School class of 1948. 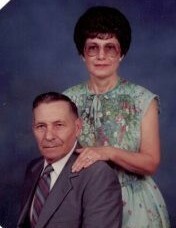 She married the love of her life, Perry A. Haudenschield March 25th, 1951 and he preceded her in death on July 22nd, 1997. Cheryl, her husband and their son, Perry “Pete” worked hard on the farm they bought in 1962 and lived there for 56 years. Cheryl was a homemaker and “Chief Financial Officer” of the Haudenschield Farm. Cheryl was also a lifetime member of the Eastern Star and the Daughters of Rebekah. She enjoyed decorating and taking care of her home, as well as traveling. Cheryl will be missed by her son, Perry “Pete” (Rebecca) Haudenschield of Caledonia, grandson, Jared (Chi-ling Chu) Haudenschield of FL, granddaughter Tina Bianco of FL, great grandchildren Ashlie Bianco, Sophia and Isabella Haudenschield and sister Myrtle Kalb of Forrest, OH. Cheryl was preceded in death by a twin brother, Veryl Unkart and sisters Claudia Melvin and Georgia Sheldon. Eastern Star Services will be conducted by Vera Chapter #64 O.E.S at the Timson & Melroy Funeral Home in Caledonia at 11:00 A.M. Saturday October 6th with Calling Hours beginning at 11:15 and extending until 2:00. Inurnment will be in Marion Cemetery at a later time.